Controlling the way your home is heated is one of the better ways to reduce expensive energy bills and leave you with more disposable income at the end of every month. After all, 60% of your energy bill is from heating the home, so it’s certainly a good place to start. With the right controls you’ll be able to keep your home at a comfortable temperature, whilst at the same time not wasting extra money on fuel. You’ll also be able to keep your home carbon emissions down too. The good news is, heating control systems can be used with any boiler, no matter the style or age. This means there’s a saving to be made if you just go out there and get it. 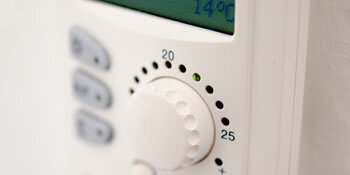 By installing a heating control system you can save between £70 and £150 every year. On top of this there are a lot of CO2 emissions to be reduced to and you can slash between 310kg and 630kg annually. Also consider the temperature you have your thermostat set on. By just turning it down a single degree, you can save as much as £75 a year and won’t feel a difference in temperature either. Reduce your home carbon emissions between 310kg and 630kg every year. The below data shows the energy performance of homes in Uk. Energy ratings vary from A to G, with A being the most energy-efficient and G being the very least efficient. The Energy Performance Certificate (EPC) rating comes into play heavily if you want to sell your property, as potential buyers will see how much they're likely to be spending on their heating expenses. Property improvements including insulation help to considerably increase a home's EPC rating. The data beneath indicates the various types of houses in Uk. The most commonplace homes across the United Kingdom are detached and semi-detached households. Other kinds of properties include terraced houses, flats, converted flats and bungalows. The pie chart underneath indicates the percentage of homes within Uk that are central heated and non-central heated. Central heating figures within the the vast majority of UK houses, such as those on the gas grid and properties heated by oil and electric. The information beneath shows the spread of houses warmed by different fuels. Throughout the UK the most common hands down are gas heated houses, followed by electricity and then oil. Biomass central heating boilers are also growing in popularity, heated by sustainable products like wood pellets or agricultural waste.|Homes in Britain are heated up by a variety of fuels, such as gas, electricity, oil, solid fuel and LPG boilers. Each fuel has a varying cost associated with it and that means you can find yourself with more affordable energy bills by switching the way your house is heated. Even solar thermal panels are being regarded as by many in order to cut heating bills for the years to come.